Arcane Legends is a hack and slash multiplayer mobile game developed by Spacetime Studios. Since its launch, the game also appeared in the Chrome Store for users of the computer. For new game player, there are three classes for selection: Warrior, Rogue, and Mage (Sorcerer). And other items in the game are Pets, Maps, Weapons, and Armors. How to get good position with short time in Arcane Legends? Moreover, the game players needs spend most of time to level up the class to obtain good position in the Arcane Legends game. 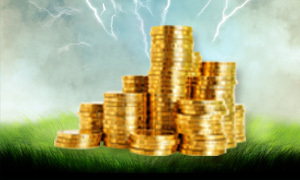 If you don’t want to do as the conventional way, you directly buy Arcane Legends Gold, and Arcane Legends Account via Joymmo.com, which provides cheap Arcane Legends Gold and Account with fast and safe delivery, 24/7 support service is available.